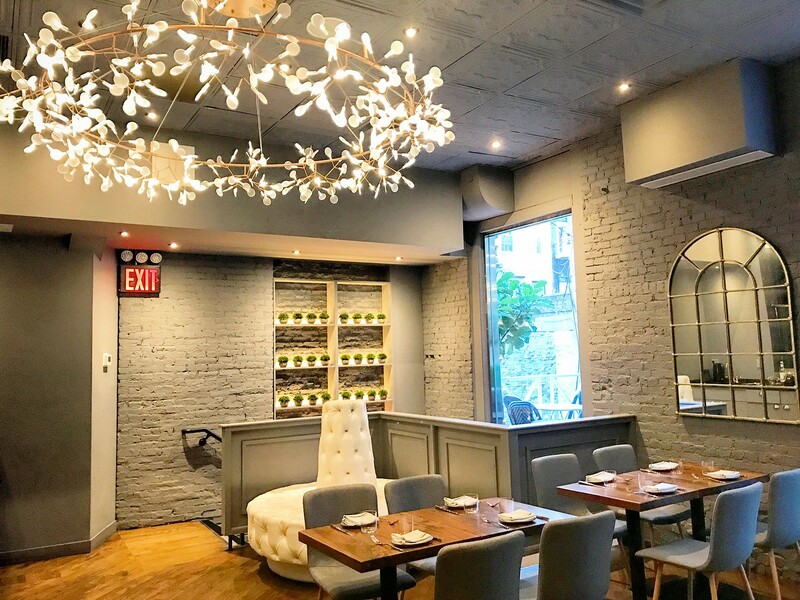 Hortus NY popped up onto the NYC restaurant scene in the late summer in NoMad and has already gained popularity for their Asian-fusion cuisine using local and seasonal ingredients. 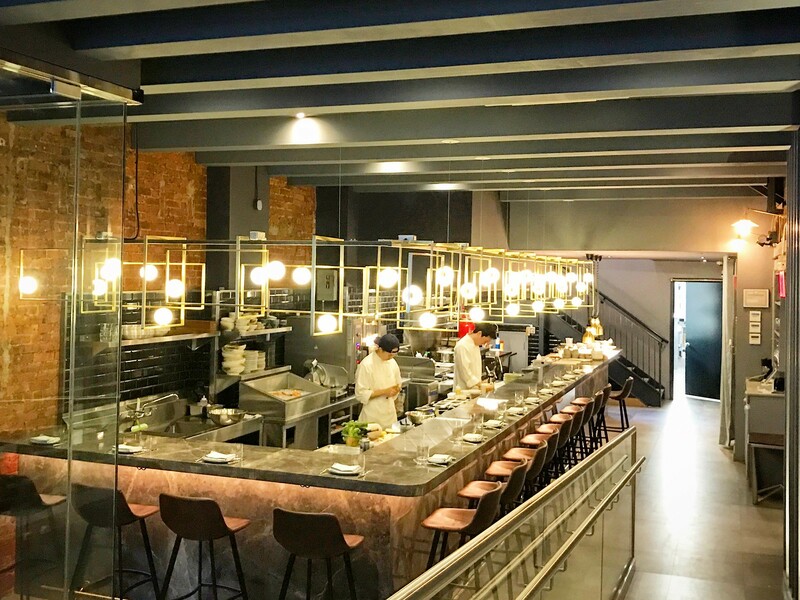 No surprise since leading the charge are General Manager/Partner Suhum Jang of Per Se, Daniel, and Jung Sik, and Executive Chef Seungjoon Choi of Blanca, Marea, Lowlife, and Gammeok. 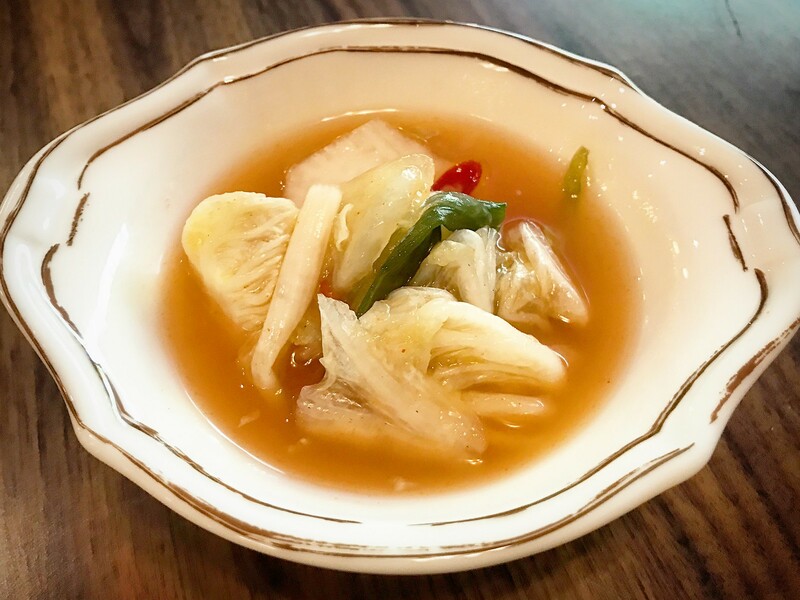 Most Instagrammed for their noodle dish, the Asian Aglio e olio pappardelle with bok choy, bean sprouts, and fresh garlic oil, and their other dishes for dinner, we decided to switch things up and check out Hortus for their recently launched brunch menu. 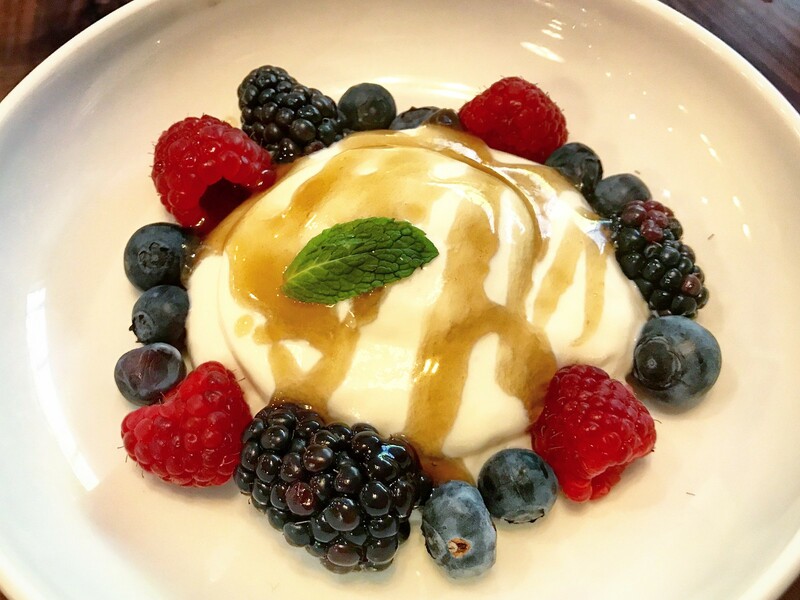 I was intrigued by the Sweet Tofu & Berries which kicked off our meal. The whipped tofu so was light and fluffy with a consistency much like whipped cream but less sweet like yogurt. Topped with wang lo gi (herbal tea) syrup to contrast the tangy berries. 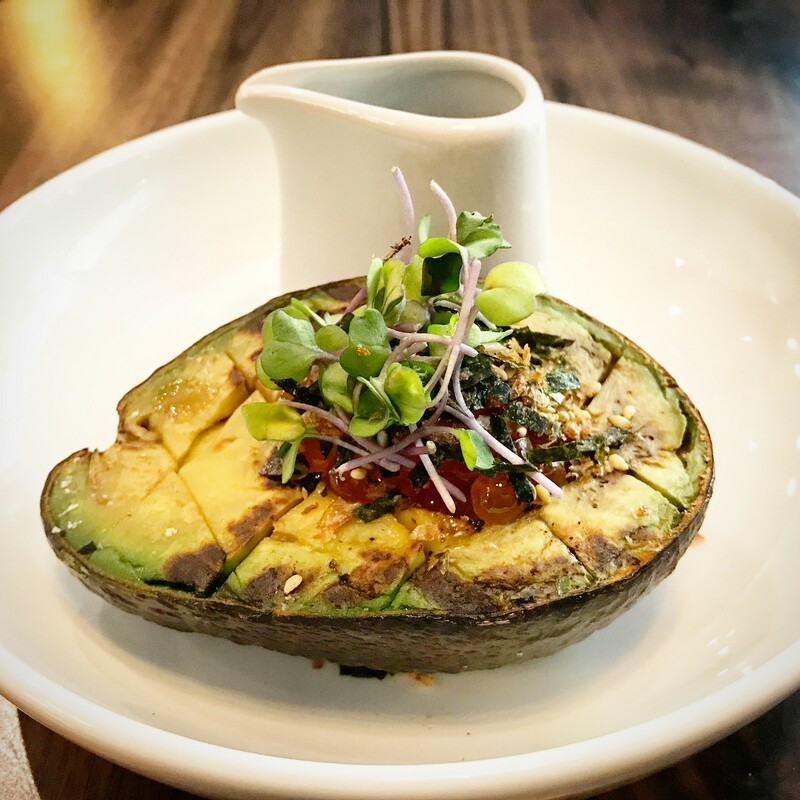 Also popular is the Grilled Avocado with salmon roe and tare sauce. 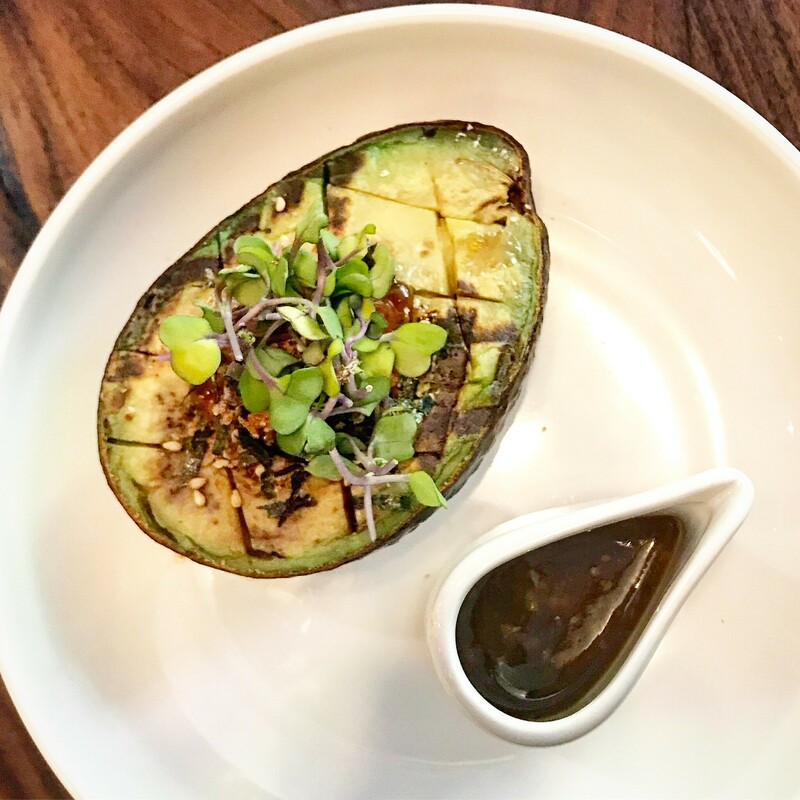 The avocado is halved and grilled, and the salty bursts of the salmon roe make this not your basic avocado dish. The tangy sauce comes on the side so you can pour it to your own taste. For the main dishes we went for the savory brunch options. 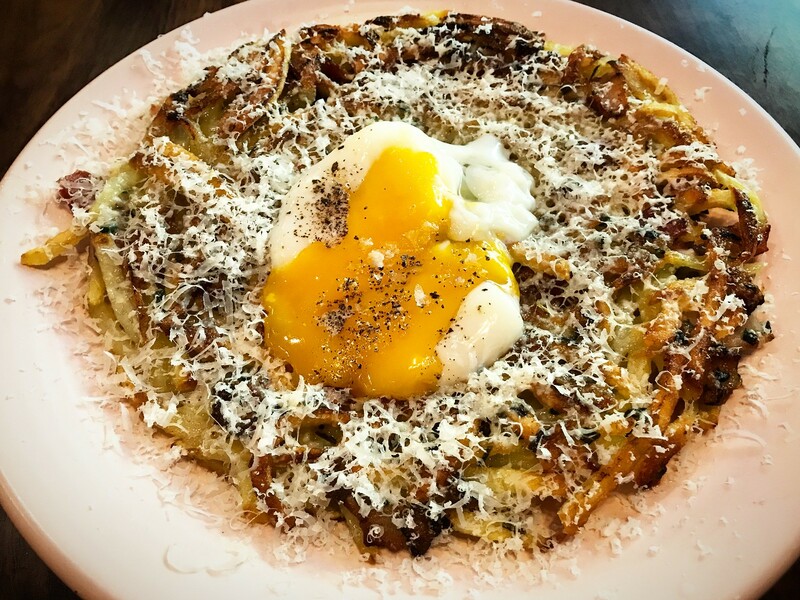 The Crispy Potato Pancake was a plate of flattened out hash brown-like potatoes topped with bacon, a poached egg, chives, and sprinkled with shaved fiore sardo cheese. The oozing egg was delicious mixed in with the crispy potatoes and salty bacon bits. I would recommend this as a great dish to share for the table. 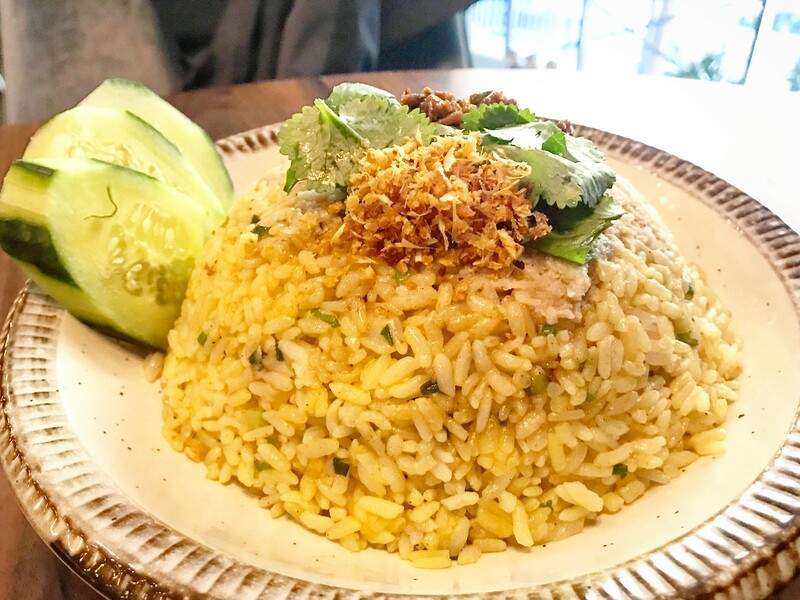 The Golden Fried Rice is another popular brunch dish with crab meat, scallions, XO sauce, garlic chips, cucumbers, and cilantro. Be sure to thoroughly mix it before diving in! If you want a sweet brunch dish, the Thai Tea French Toast is also highly raved about. With our entrees we ordered a side of kimchi, which was the only underwhelming aspect of our meal. 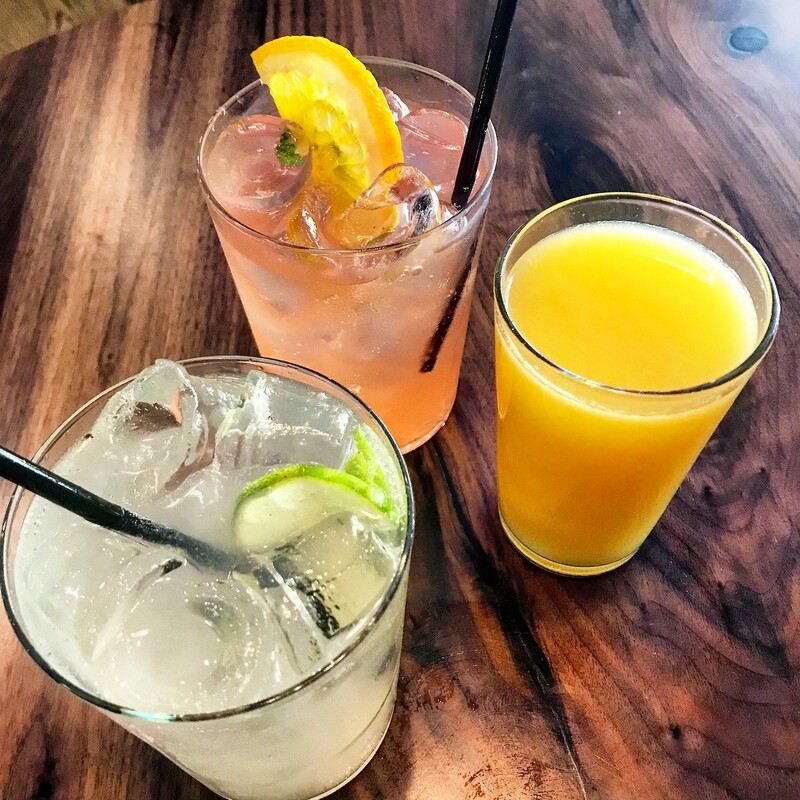 Fortunately, we enjoyed our grapefruit soda and the lychee mojito (non-alcoholic) soda to cleanse our palate. We moved onto dessert for the Thai Tea Creme Brulee. 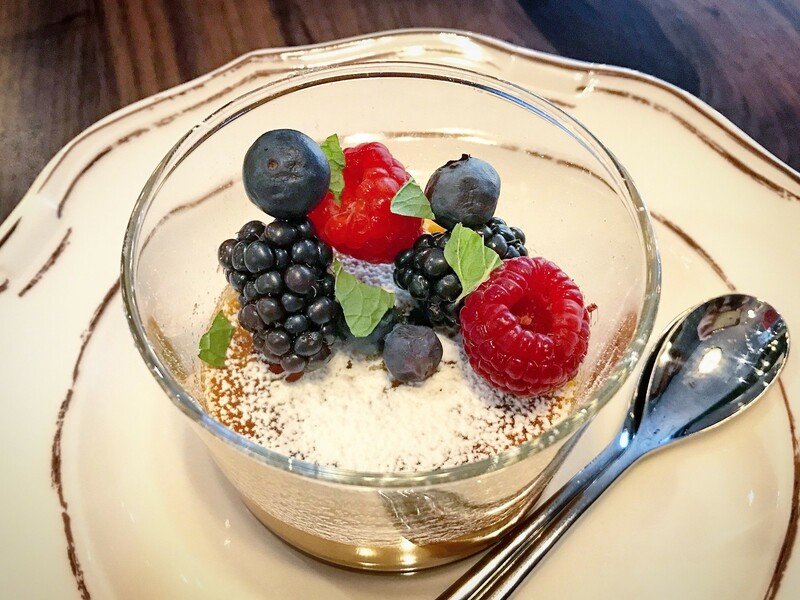 It was beautifully present and topped with fresh berries to pair with the sweetness, a great way to end our meal. Raw oysters are available for both brunch and dinner, but their menus are otherwise different. 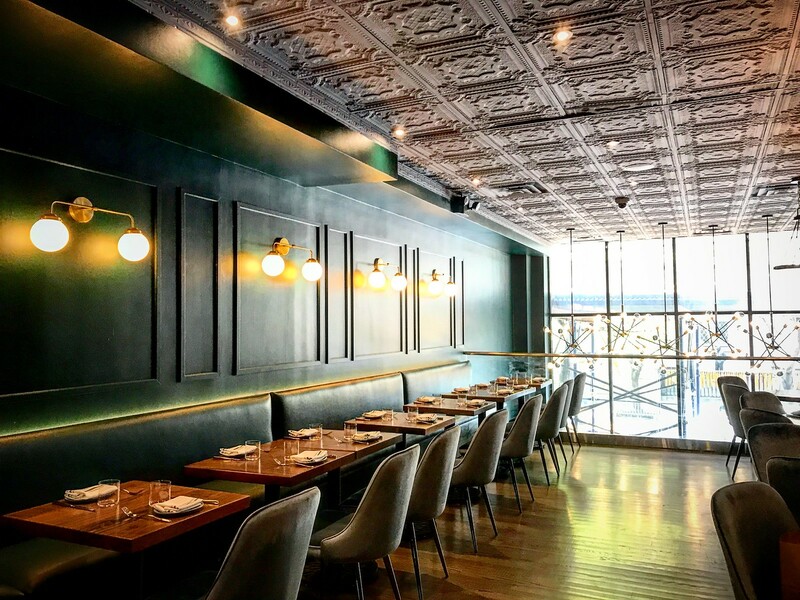 Our meal was delicious with great Asian-influenced brunch places, and the restaurant is a beautiful space that is best enjoyed in the light of day, but their dinner menu is definitely the star of the show. In addition to their highly photographed noodle pulls for dinner, be sure to check out their Scallop Ceviche marinated in orange, Calabrian chili and cilantro, the King Crab with crème fraiche and red sorrel, and particularly the Chicken to share of a Korean stew comprising grilled spiced chicken on the bone, cabbage with a smoky edge, shishito peppers and fine slivers of Korea shiso. We’ll definitely be back for more!